Time lapse with vertical movement from inside a cave. 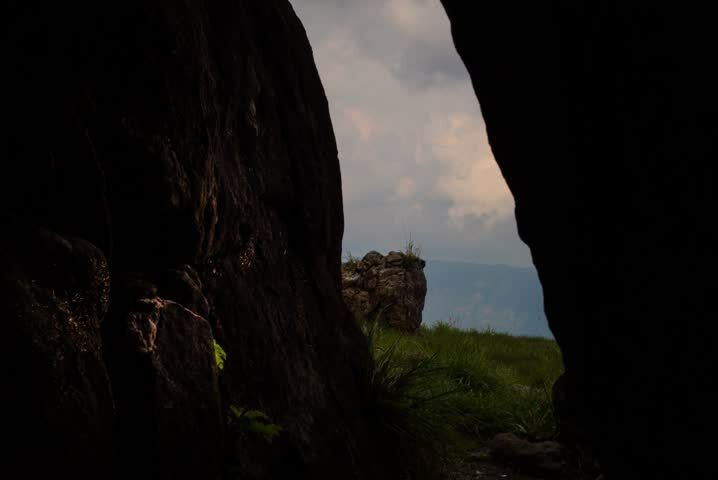 The silhouette of the cave is the predominant in this footage and also we appreciate the astonishing cloud movement. hd00:15Aerial view of Sumela Monastery in Trabzon, Turkey. hd00:06Aerial View of Besh-Kosh mountain, near Bakhchisaray. Crimea. Autumn Summer. Sunset sunrise. The outer ridge of Crimean mountains is a series cuesta gradually rise to about 350 m.